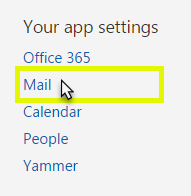 To forward email messages from one email account to multiple accounts, create a distribution group. Next, you'll forward email from the one account to the members of the distribution group. In the upper right corner of the page, click Settings . In the left panel, click General to expand the list and click Distribution groups. Be sure to scroll down to add members, to add members as co-owners (as appropriate), and to choose whether owner approval is required for people to join the group. Note: When adding members, you'll be taken to the Search People box. Enter the names of each group member, press Enter, click Add after each name, and then click Save. 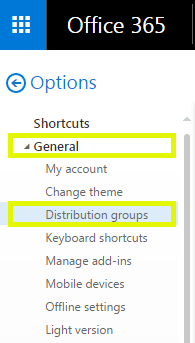 Back in the new distribution group dialog box, click Save. Forward email to the new distribution group so all members of that group receive the forwarded email messages. To add members outside your organization to a distribution group, you'll need an administrator to add each person as a shared contact. See your administrator for more information.